Our goal at Shannik Barrett Preneed Solutions has always been to provide easy access to the products and services you need to compete in today’s marketplace. 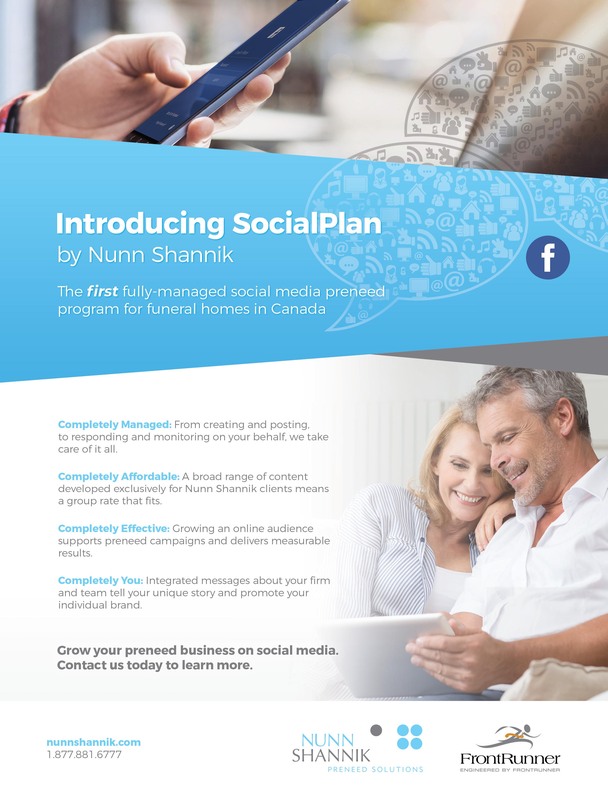 It is with great pleasure that we reveal SocialPlan by Shannik Barrett, our newest innovative marketing program that will change the way you interact with your community to communicate your brand, sell more preneed and grow your business. 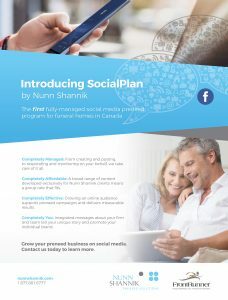 SocialPlan is a fully-managed social media service that combines unique content about your firm, your staff and your community with our proven preneed and funeral service messages. We create and post content pre-approved by you, monitor and respond to comments on your behalf in real-time and run online campaigns designed to meet your specific program goals. To ensure SocialPlan maximizes use of the complex and ever-changing social media world, we partnered with FrontRunner Professional to engineer our strategy. The end result is a social media program that is entirely customized for each of our funeral home clients, with measurable results and at a significantly discounted group price compared to if you were to obtain comparable services on your own. We’re excited to show you the incredible opportunities SocialPlan provides for demographic targeting and messaging as we meet with you in the coming weeks and months. To schedule an online demonstration or to plan an on-site visit, please contact us at 1.877.881.6777.